For a cat that likes to sleep curled up Sam sure is trying out some new sleeping positions. Perhaps at the age of ten he has decided it’s time to explore all of what life has to offer. 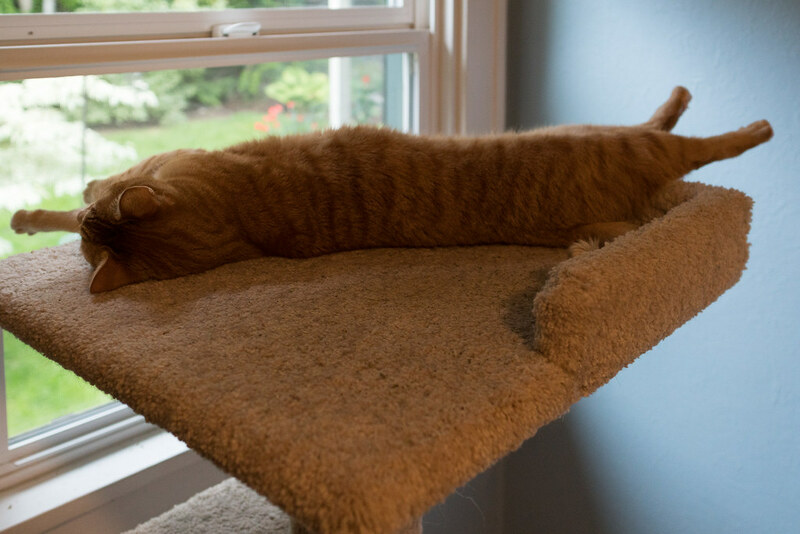 This entry was posted in Pets and tagged cat, cat tree, orange tabby, Sam, sleeping. Bookmark the permalink.